Teague, Mark. Good. 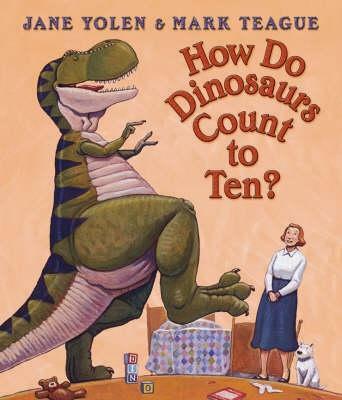 Boisterous toddler board books join the phenomenally best-selling `How Do Dinosaurs' series! 14 p. Includes illustrations. Intended for a juvenile audience. My 2 year old son loves these "How do dinossurs" series. The books are cute little rhymes that he absolutely enjoys. Once we are done reading the book, he names all of the objects in the book. I love these books and plan on getting the entire series.